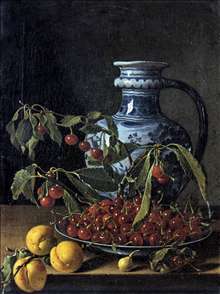 Spanish still-life painter, active mainly in Madrid. 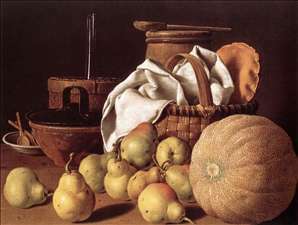 He is regarded as the finest Spanish painter in his speciality in the 18th century continuing the austere traditions of the bodegn established by Sanchez Cotn, as well as Velzquez and Zurbarn. 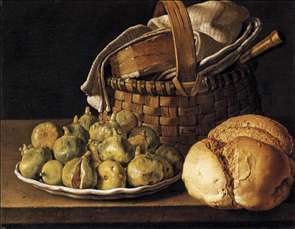 He is sometimes called the Spanish Chardin but he spent much of his life in poverty. He was trained by his father and L. M. van Loo in Spain. 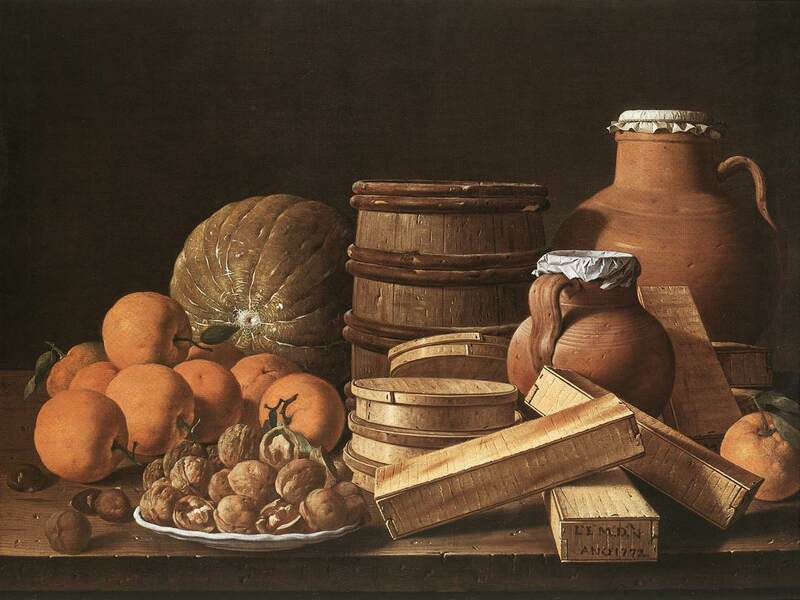 He was van Loo s assistant 1742-48. 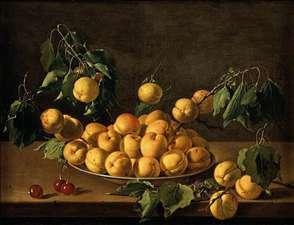 He worked in Madrid and revisited Italy before 1775. His work is rare outside Spain, but there is an example in the National Gallery in London and the Louvre in Paris has a striking self-portrait, signed and dated 1746. 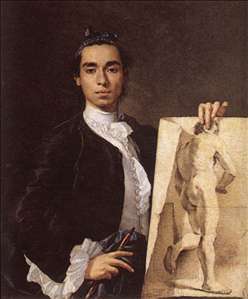 The self-portrait is his earliest known work, in which he looks younger than thirty. 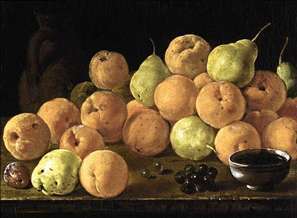 See more details about "Portrait of the Artist"
See more details about "Still-Life with Figs"
See more details about "Still-Life with Fruit and a Jar"
See more details about "Still-Life with Oranges and Walnuts"
See more details about "Still-Life with Melon and Pears"